Jubilee in Nakuru: Kinuthia Mbugua falls off the Nakuru gubernatorial race in support of Lee Kinyanjui. - Bana Kenya News, Real African Network Tubanane. Home News Jubilee in Nakuru: Kinuthia Mbugua falls off the Nakuru gubernatorial race in support of Lee Kinyanjui. Jubilee in Nakuru: Kinuthia Mbugua falls off the Nakuru gubernatorial race in support of Lee Kinyanjui. 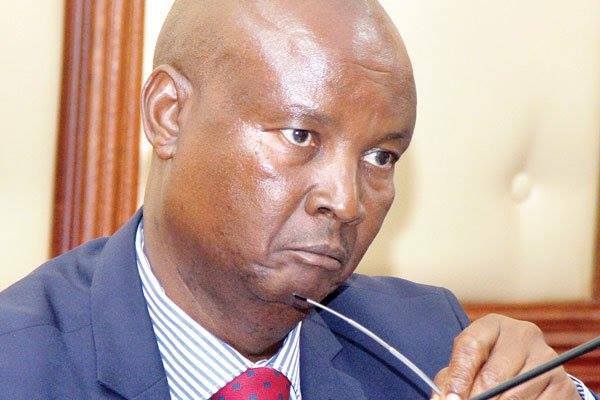 Kinuthia Mbugua resigned in the contest for the Gubernatorial race in Nakuru yesterday. The current governor who was defeated by Lee Kinjanjui in the Jubilee primaries said he will support the one who has the party ticket in Nakuru county. The Nakuru Governor Kinuthia Mbugua wanted to be on the ballot through and independent ticket but President Kenyatta held a meeting with both of them and agreed to work together. Kinuthia Mbugua decided to fall from the race because of vote division as claimed by the President. "They unite because they did not want to divide the votes amongst themselves. Jubilee must win here and we have agreed with them. " Said, President Kenyatta.